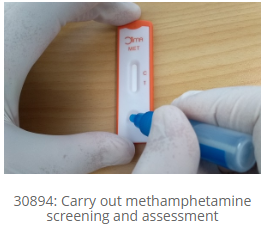 Careerforce has developed an assessment package to recognise the competency of the workforce providing methamphetamine screening and sampling services. It is designed for organisations that offer services to test properties and vehicles for the presence of methamphetamine. To enrol your staff in the Methamphetamine Screening and Sampling Assessment Package, please contact our partner employers for more information on the enrolment process and fees. People who are already working for an organisation that offers methamphetamine testing, screening and sampling services. The learning and assessment for this assessment package is delivered through the workplace by our partner employers, with support from Careerforce. The assessments are accessible online to those enrolled through Careerforce’s online learning platform, MyPath. We invited industry experts to work with us by becoming a partner employer. Their role is to manage the enrolment of people into the assessment package and to provide the necessary support to enable them to complete the assessments. Partner employers offer unit standards 30892, 30893, 30894 through an arrangement with Careerforce. People are enrolled as Careerforce trainees throughout their course of studies with a partner Employer. All assessments leading to unit standards are undertaken by Careerforce and they will report any achieved credits and qualifications to NZQA directly. 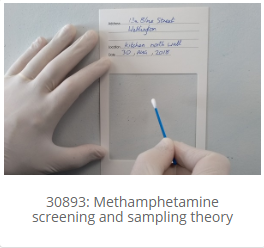 If you have the capability to assess the unit standards and are interested in becoming a partner employer for the Methamphetamine Screening and Sampling Assessment Package , please get in touch with us at assessor-admin@careerforce.org.nz. Cleaning Systems Ltd (CSL) have stood the test of time and after 25 years are still going strong. The team at CSL have over 150 years of experience in the cleaning industry and are passionate about delivering best industry practice courses. Set up in 2012, MethSolutions, pioneered the development of systems and procedures for the screening of property for meth residues. 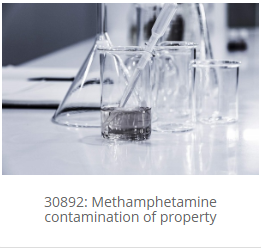 These systems and procedures have been adapted to account for an evolving knowledge and understanding of the risk presented by meth residues in property. This includes adjusting methodologies to align with NZS8510:2017.